Entrepreneurship is a tough journey especially if you are introducing a new concept or product into the market. And for this reason, many people look for inspiration from other successful entrepreneurs to keep them going. Knowing that someone else faced the same challenges as you and overcame them can be a great motivation tool. And even if these entrepreneurs come from different industries, the challenges entrepreneurs face are almost similar no matter the field. Most entrepreneurs have to face challenges when it comes to raising enough capital, outdoing their competition, and penetrating new markets. Some entrepreneurs rise to prove that you can overcome any challenges to succeed in their profession. 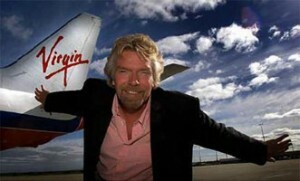 Sir Richard Branson has fought dyslexia for years but the struggle has not hindered his success. He was not good in academics either. He started by producing a magazine called The Student when he was only sixteen. He would advertise records on the magazine before he started his own record company. He then went on to start his own record shop which then grew to become the behemoth we know as Virgin today. Sir Richard has created other multi-million ventures over the years. Most people know him for his success in the air travel business, but the brand includes healthcare, telecommunications, films and energy just to name a few. Tai Lopez rose to prominence through a rather savvy YouTube marketing campaign and his emphasis on the accumulation and use of knowledge. Tai used the power of social media effectively for more than a decade to educate people from all walks of life. He is an author and one of the most popular entrepreneurs on social media. Tai Lopez’s 67 steps program is geared towards new entrepreneurs and offers self-help, health, wealth, happiness, and even love advice. Millions of Lopez’s followers on social media have read and shared his manuals and joined his programs. Tai has created a successful personal brand and attributes much of his success to the power of networking. Tai Lopez’s LinkedIn page and other social media accounts display his achievements, education, and business connections and should serve as an inspiration to everyone. Entrepreneurs have the ability to identify business opportunities from the simplest things in life. Erin Baker built her brand on the people’s need for a healthy breakfast. Many people like the taste of cookies but not the effect on their health. Erin started baking healthy breakfast cookies and attracted thousands of customers to her brand. She moved from employing 2 people to 100 in just one year. When her business experienced distribution challenges, she adapted quickly to the change and explored new products. Nate describes himself as the worst student that ever succeeded in business. He is the founder of Puzzle Break. The company earns a seven-figure revenue every year and records 100% growth. The unique aspect about Nate’s successful escape room is that he did not take any loan or startup funding. Nate Martin has an undergraduate degree but it did not come easy. All MBA programs rejected his application except one. He waited for 9 years after his graduation to build his successful venture. Most, if not all, entrepreneurs start small with limited resources and build multi-million ventures. Entrepreneurs are willing to take risks, which sometimes means dropping out of school to pursue their dreams. If you are struggling in your entrepreneurial journey, the stories of other successful entrepreneurs should inspire you. All of them experienced similar and may be even worse challenges. You must be determined to rise above failure and setbacks to build a successful business.